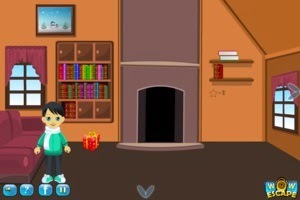 Rescue Friend Escape is new escape game developed by Gracegirlsgames. Your best friend stuck up in the dense forest and unfortunately got into the hands of tribal man. He needs your help. Rescue your best friend by finding the objects and solve the puzzles. All the best! !